Slick Designs is a one-woman Ankeny based interior design firm specializing in residential remodels and new construction, as well as commercial design, in the Des Moines and surrounding areas. Slick Designs can work with you from the initial planning stages, to finish selections and all the way through to the final touches with furnishing placement and staging. As an NCIDQ certified interior designer, Dessie's experience in the field of design covers various facets, from space planning, color schemes, furniture selection and procurement, tile design, window treatment design, fixture selection and more. Our goal is to work together with the homeowner to make the home reflect their style and personality, while making the process smooth and as stress free as possible. Give us a call today at 515.231.7516 to schedule your first design consultation! Come visit our Showroom in Urbandale! DeGoey Designs by Holly DeGoey is an interior design studio with a passion for creating beautiful designs across all platforms. Holly sees the world with a critical creative eye in that every choice has thought, reasoning, and passion behind it. Her tireless approach towards a perfect plan is respectable while her execution arrives beautiful and seemingly effortless. Holly tailors each design she creates specifically to the unique personality and lifestyle of her client. Helping her clients achieve their vision is her strongest commitment. *Authorized R.D. 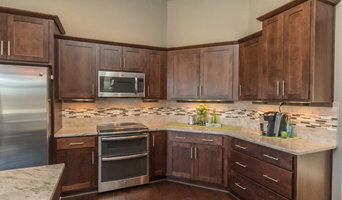 Henry & Co. Cabinetry Dealer* Cabinets by Design is one of Central Iowa's Foremost Cabinet Authorities with thirty seven years specializing in the cabinet industry. They are very active in the NKBA which is the largest, longest established association of kitchen and bath professionals. By partnering with local designers and contractors, this allows them to share their expertise and knowledge to save the client time and stress on selections and what comes next so that the job runs smoother for everyone involved. Their showroom is in a unique home setting and many clients have said it makes it so much easier for them to visualize their designs. Red House Remodeling is a full service design/build remodeler serving greater Des Moines. You can trust Red House Remodeling with every step of your kitchen, bath or basement remodeling project from initial design to the finished project. Our experience means we can offer innovative solutions to a variety of home improvement and repair projects along with unmatched customer service. Our project designer will help you design a functional and beautiful space that fits within your budget, and your project will be completed by employees who demonstrate superior knowledge and craftsmanship that is second to none. Red House Remodeling is registered and fully insured in accordance to all Iowa requirements. In addition, our employees have passed comprehensive background checks and are subject to rigorous screenings for drugs and alcohol, and are non-smoking. We have worked hard for our expertise and we stand behind our work with a 2 year warranty on all that we perform. Des Moines’ Design/Build Remodeler – We’ll Help You Love Your Home! NSDG is a home renovation, design and styling consultancy service. We specialize in contemporary home and boutique commercial renovations/ remodels. Nichole Staker: Principal Nichole Staker is an accomplished Interior Designer, entrepreneur and author. In 2012, Nichole founded the design and development firm that now bears her name - following several successful years as a freelance designer, while simultaneously pursuing her Master's Degree at Iowa State University. Prior to moving back to Iowa in 2010, Nichole lived in Westchester County, NY, where she most recently held the position of Senior Visual Manager for the lifestyle retailer, Anthropologie, overseeing the staff responsible for visual merchandise design, development and production design, at several NY & CT area stores. She began her career as design assistant to the Editor-at-Large for Traditional Home Magazine. Nichole has a degree in Art History for University of Iowa and an MFA with honors in Interior Design from Iowa State University. She is the author of, The Anthropologie Effect. Skylar Adamson: VP & Senior Designer Skylar is an award-winning renderer, draftsman and exceptionally gifted Interior Designer. His project portfolio spans several design disciplines, including: Retail, Hospitality and Residential. Prior to joining Nichole Staker Design Group, Skylar tenured with the prestigious Champalimaud Design in New York City, where he gained a wealth of specialty design experience. In 2012 he entered Iowa State University to pursue his Master's Degree, while also working as a graduate Teaching Assistant in the School of Interior Design. He joined NSDG as a Senior Designer in 2014, and was recently promoted to VP of Design & Development. Skylar holds a BFA in Technical Theatre, Set Design and an MFA in Interior Design from Iowa State University. Design the LIFESTYLE You Have Imagined! Imagine a home that embodies your personality, your character, your style. Embracing the way you live – your morning routine, welcoming family and friends, keeping you warm at night, protecting your family. Kaufman Construction Design & Build has more 20 years of experience creating homes in Central Iowa that combine modern conveniences, technology, and design innovations with the solid construction and custom touches that give homes resilience and personality. Our goal is to create spaces that grow richer with age, meaning that each day you spend in your Kaufman Construction-designed and crafted home, the more you'll appreciate the foresight and artistry of the craftsmen who created it. Our remodeling and new construction design-build process is all about the details. We offer the highest level of personal service, documentation, and communication throughout, and provide extremely thorough architectural drawings and renderings so you know the precise details and cost of your project before construction even begins. Kaufman Construction takes on projects of all scopes and accommodates all budgets. We have a passion for customer service and are driven by the notion of creating a nurturing space for you to enjoy for years to come. Learn more about us at kaufmanconstruction.com. accents + interiors is a furniture and home decor store with full interior design services. Our design team is made up of fresh, forward-thinking designers who understand the importance of a well-designed and livable space. Our philosophy on design is this: Your home should be a reflection of who you are and a collection of what you love. Great decorating is about making you feel at home - we help you do it in style. We pride ourselves on taking the time to get to know each client so we can design spaces you'll love living in. Our goal is to redefine the ordinary into beautiful spaces filled with character that reflect you and how you live your life. Our retail showroom features furniture and home decor from the most respected industry names. The boutique setting showcases a variety of distinctive looks in furniture, lighting, art, accessories and flooring. Our extensive resources and in-house design libraries give you access to creating the customized look you desire. Everyone has a signature style. Let us help you live yours. Amanda Reynal Interiors is a boutique interior designer firm based in Des Moines and serving both coasts. Amanda is a designer and decorator with over 20 years of experience in the industry in New York, London and now Des Moines. Her work is grounded by traditional forms‚ and is unique in its adherence to a historical aesthetic with a young and vibrant sense. Amanda’s success lies in her ability to create a unique space for each client. In 2009 Amanda was named a New Trad by Traditional Home Magazine as one of 20 young designers to watch. Raised in Connecticut, Amanda studied at Trinity College and majored in Art History. While there, Amanda studied the masters abroad in Florence‚ Italy. She learned her trade at the New York School of Interior Design while working for an architect. She then spent three years in London which provided the perfect venue for continuing her education in English and European decorative arts and antiques as well as in contemporary art. In New York‚ first with an architect and then as a senior design associate at Cullman & Kravis, Inc., Amanda defined her signature style as a traditionalist grounded in the classical elements of symmetry and balance that are at the core of her work. Here‚ she collaborated with collectors of fine art and antiques. Combining the elements of traditional design with contemporary lifestyles has become her credo. Amanda started Reynal Interiors in Des Moines‚ Iowa in 2001. She is able to provide her clientele with a very elegant‚ young‚ and balanced approach to home decoration. Her ability to combine her understanding of the traditional principles of design with a contemporary aesthetic and the use of color keeps her work fresh. Amanda’s schemes employ a layering of pattern‚ scale and texture over a base of well scaled upholstery forms to create an original and balanced space. Reynal understands what life is like at home for her contemporaries who often share their space with children‚ pets and an unpredictable climate. 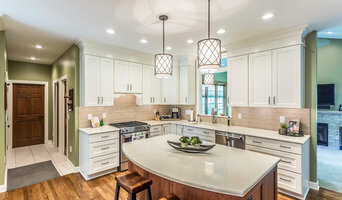 Silent Rivers, winner of the Better Business Bureau Torch Award for Ethics, is a highly respected design+build company celebrating 25 years in kitchen remodels and bathroom remodels, custom new homes, additions, outdoor spaces, historic preservation, custom cabinetry and custom furniture. From concept to completion, the Silent Rivers approach is about creating a space that inspires. We connect people to their home, themselves and their family through considerate aesthetics, exceptional craft and a caring experience with our team of makers. Chaden Halfhill founded Silent Rivers in 1993 to elevate "the art of building and the building of art". As an entrepreneur, artist, community leader, environmental and sustainability advocate, Chaden's vision is to shift the paradigm of design and construction. Art and beauty, when part of our daily lives, help people to better understand themselves and their higher purpose. By blending art, remodeling and sustainability, Silent Rivers inspires clients toward a deeper connection between home, community and planet. Our design+build process integrates design, construction, estimating and management services within one comprehensive and caring team to create value that is second to none. This powerfully collaborative approach between our designers and artisans ensures efficient communication, intelligently creative solutions, accurate pricing and detailed completion schedules. Our team collaborates with you to deliver a customized solution to fit your creative vision, budget and lifestyle. The integrity and continuity of this holistic team approach is foundational to our successful history and loyal following. Every Silent Rivers project reflects our core values by incorporating artistry, integrity and sustainability. We are always mindful of ways to make your home healthier and more energy efficient, while creating a space that inspires you on a daily basis. Emily Lee Interior Design is a new build and remodeling consultant firm. We assist clients and contractors through the many steps of design including identifying the project scope and goals, product selection, and installation. No project is too big or small. Whether you need help selecting a paint color or purchasing a fixer-upper to make your own, we know how to listen, collaborate, and stay within budget. Emily Lee specializes in complete home remodels, kitchens, bathrooms, additions, closets, laundry rooms, basements, and commercial spaces. Our goal is to give you the house of your dreams. Capital Homes has built a solid reputation through the construction of quality homes and house renovations. Started in 2010 by Barrett Boesen and Peter Cutler, the two decided to combine their talents to help grow the city they were raised in and loved. The Capital Homes team is determined to make homeowners happy with the experience of building. They are Energy Star certified, insured, licensed, and a member of the Iowa Homes Builders Association. A West Des Moines native, Peter got his start in building at a young age when he constructed 'build your own tool bench' kits and sold to parents with young kids in his neighborhood. After graduating from Iowa State University with a major in construction engineering, he pursued turning his skills and education into a career. He currently lives in Des Moines with his wife and in his free time enjoys climbing, fishing, biking, and camping. I am a Licensed Architect with over 25 years of experience in commercial, institutional, and residential sectors. While I reside in Des Moines, Iowa, I still maintain a strong Chicago presence and am also available for projects in Illinois, Wisconsin, and Michigan. I design homes and light commercial projects that are inspiring, comfortable, economical, and flow well to enhance livability. I refer to myself as the "Neighborhood Architect" because I treasure old neighborhoods and believe in investing in these. Two Design philosophies I work closely with are The Not So Big House and The Original Green. The Not So Big House: • Values Quality over Quantity • Emphasizes Comfort, Beauty, and a high level of Detail • Doesn't necessarily mean small. It means not as big as you thought you needed, but designed and built to perfectly suit the way you live. The Original Green emphasizes sustainable buildings that are: LOVABLE - If they can’t be loved, they will not last. DURABLE - They must endure, in order to be sustainable. FLEXIBLE - If they endure, they will need to be used for many uses over generations. FRUGAL – because energy hogs can’t be sustained in a healthy way long into an uncertain future. Building a new home is one of the biggest investments a family will ever make. Yet, despite spending a lot of money, a new home can still be flawed by way of planning, structure, and aesthetics. You deserve only the best! Going through a thorough design process with a licensed, seasoned design professional will ensure you get the house that best suits your needs and fits your site. Do it right with an Architect! *Authorized Woodharbor Cabinetry Dealer* Woodharbor Kitchen and Bath is a family owned remodeling company specializing in kitchen and baths with over 50 years of combined experience in the remodeling industry. Woodharbor Kitchen & Bath provides quality wood cabinetry, millwork, countertops, tile, plumbing, lighting fixtures, and accessories. Our designers work with our clients to bring the highest level of design to their kitchen or bath. They will provide help with cabinetry, countertops, tile, plumbing fixtures & installation. Along with the high quality products from Woodharbor, Greg, Cheryl, and employees offer customers innovative and dependable design options for the kitchen, bathroom, and other interior dwelling spaces. Cheryl and Greg each have more than 30 years of experience in everything from complete homes to kitchen and bath remodels and look forward to working with you to complete your project!